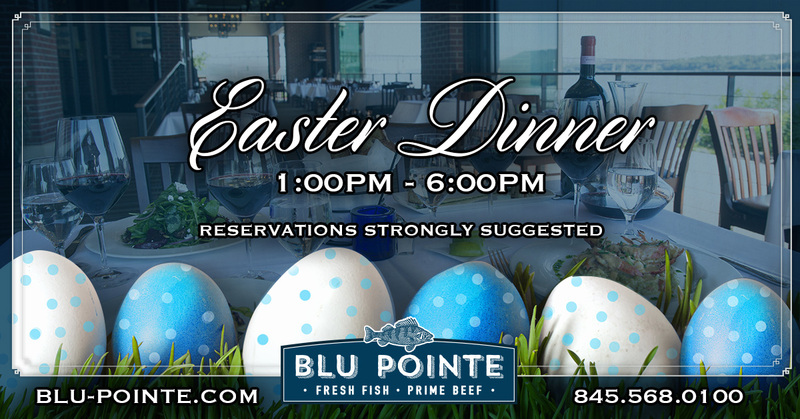 Blu Pointe will be offering a special Easter Dinner menu from 1:00pm – 6:00pm. Gather your family and friends for a spectacular dining experience at Blu Pointe. We will be offering delicious specials hand crafted by our culinary team alongside favorites from our current dinner menu. Reservations are strongly suggested. 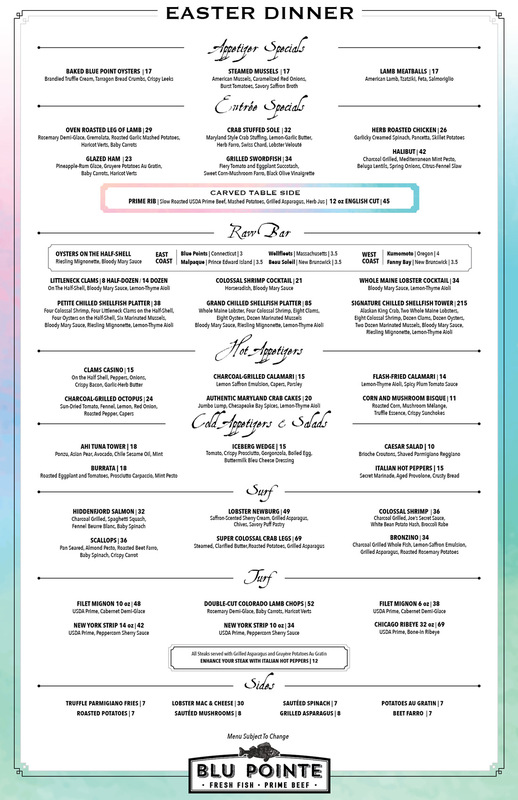 Call us at 845.568.0100 or make your reservations online.